The Unique Identification Authority of India (UIDAI) is going to introduce face authentication for the Aadhaar verification which will go in effect from the July 1st. The face authentication will be done along with the iris and the fingerprint scan as extra options for verification. The face authentication will be needed with one of the other authentication features like with face authentication, the fingerprint, iris or the OTP will be needed to verify the Aadhaar details. 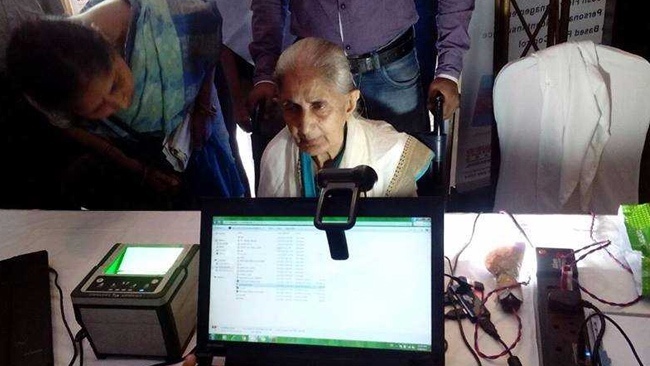 This has been done because of the old people getting into problems in biometric authentication due to worn-out fingerprint, hard work and old age. The UIDAI has stated the robustness of the Aadhaar encryption system in a presentation by saying that it will take “more than the age of the universe for the fastest computer” to break into it. The UIDAI CEO Ajay Bhushan also said that the face authentication will be in effect from July 1. Aadhar is taken as identification authentication in various places like banks, telecom companies PDS, income tax and more places where an ID is needed. In the presentation, it is stated that an average of 4 crore authentications is being done on daily basis, he further added that UIDAI is not collecting purpose, the location of the details of the transaction. The Supreme Court has extended the time for people to connect their Aadhar card to their mobile number or to their bank. If anyone who still hasn’t linked the Aadhaar to the bank or their mobile number, you got plenty of time.